Wendell Berry and Guy Tal. 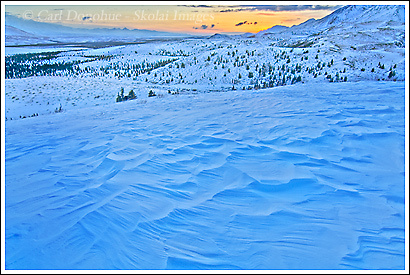 A winter sunset over the Mentasta Mountains, Wrangell – St. Elias National Park, Alaska. This entry was posted in Abstract Photos, Alaska, Fall, Forests, Landscapes, Photo business, Skiing, Snowboarding, Travel, Web Stuff, Winter, Wrangell - St. Elias National Park and tagged Art, Guy Tal, Landscapes, Photography, scenics, snow, Sunsets & Sunrises, The Unforeseen Wilderness, Wendell Berry, Winter on May 21, 2009 by Carl D.